When you decide you want to purchase a home, the first step should takes place months before walking into your lender's office. You should check your credit score at least three to six months ahead of your mortgage application. You may need to adjust your spending habits, before seeking a loanif your credit behavior is less than perfect. The necessary cost to pay upfront may vary, but make sure you have prepared 3 to 5 or up to 10 percent of the total cost. Especially first-time buyers often need a loan, so make sure you researched the most favorable conditions and try to find competitively low-interest loans that are ideal for buyers with less than perfect credit. Begin your search by gathering a lot of information.Stick with the prominent real estate Web sites and you'll learn more than you need to know. Before contacting a real estate agent it’s good to have a list with your preferences and priorities. Also,take into consideration that your first home may not be your last, so try to anticipate how long you'll live there and buy based on those plans. Don't try to follow market trends or pinpointing the bottom prices, because that is a hard task even for professionals and it usually happens after the market has started to turn up.Focus on your personal needs and financial stability. Experts advise that making a larger down payment ultimately means smaller monthly bills in the future. Be realistic about how much you can pay, because unexpected circumstancescanbreach even the tightest budget.It's better to live with a comfortable mortgage on a smaller house than to struggle monthly paying a mortgage on a house with more room than you really need. The down payment, closing costs, monthly expenses and taxes must in total all be within your income and savings range. Hunting for a house is a long and complicated process and often you might need the help of professionals. Make sure you choose a real estate agent who is compatible with you and will lead you through the whole process. First-time homebuyers should explain in detail what they're looking for and what their budget is. If you already have a couple of options, be proactive, go in the community, talk to locals and inquire about the issues that matter most to you. There are many offers on the estate market that are actually overinflated and just because the seller puta price on the property, it doesn’t mean you can’t make a different offer. Be sure to research the market prices for similar properties from the last six months and make a comparable estimate, before stating your offer. Before signing research the history of the property and make sure there aren’t any legal claims or depts. 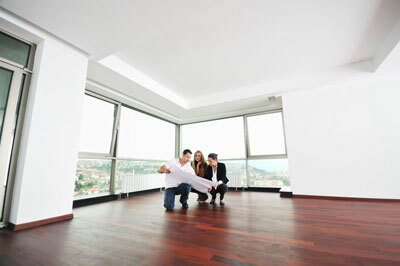 At signing you can also demand that the contract be contingent on an independent appraisal of the house. Contingencies vary by country, but you should certainly inspect the home for possible lead paint, radon, and structural issues. Also, if necessary negotiate with the seller to make any necessary repairs to the house before closing on the deal. Don’t rush into decisions or get taken by the first house you see. House-hunting can last four months or even longer if you have more preferences or less luck. On a bright side, with the wide variety of offers on the market, you may be able to close a deal in two to four weeks. However, the real journey starts only after you close the deal, when you receive your first bill in the mail. Should You Reconsider Buying a Home in Spain?